The first theme for Bernice Hopper's The Art of Practising Gratitude challenge is create. Yesterday I did exactly that. I spent the day making background pages for my new altered book binder journal, I painted some paper, and I tried a few new techniques that Bernice introduced. I like the result of the different lines and designs that result when the paint dries under the plastic wrap. 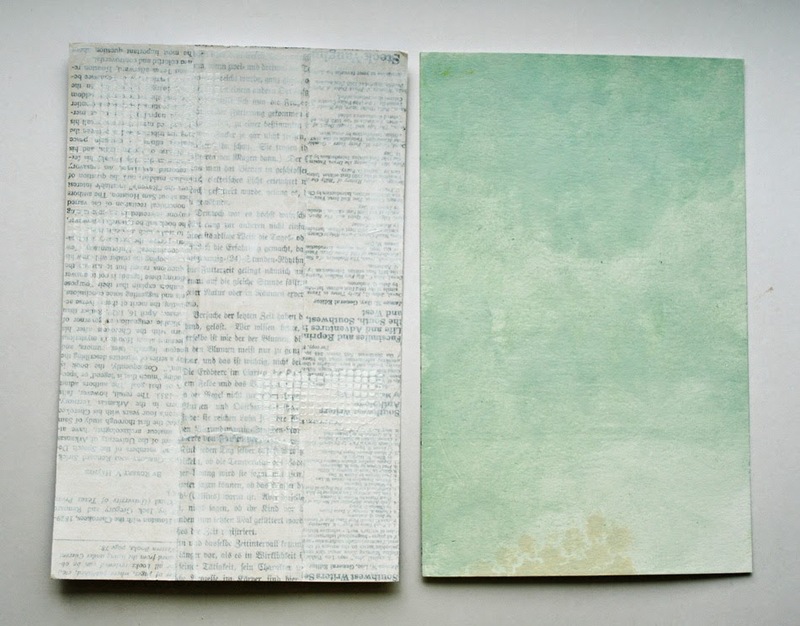 I added some torn painted paper and some day this background may grow up to be an art journal page! 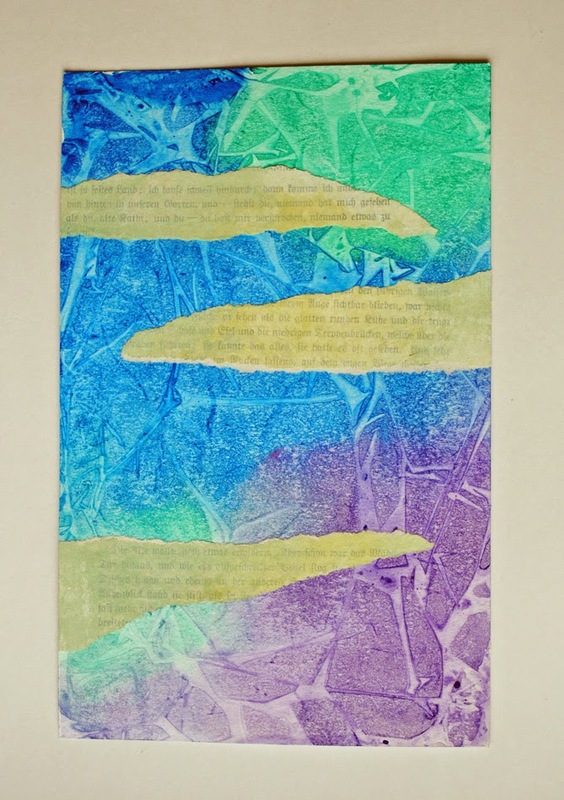 I used the salt technique on the background of the page I made for the challenge. The salt effect doesn't show up too much and the texture it left on the page after I brushed the salt off made it a bit difficult to write on. 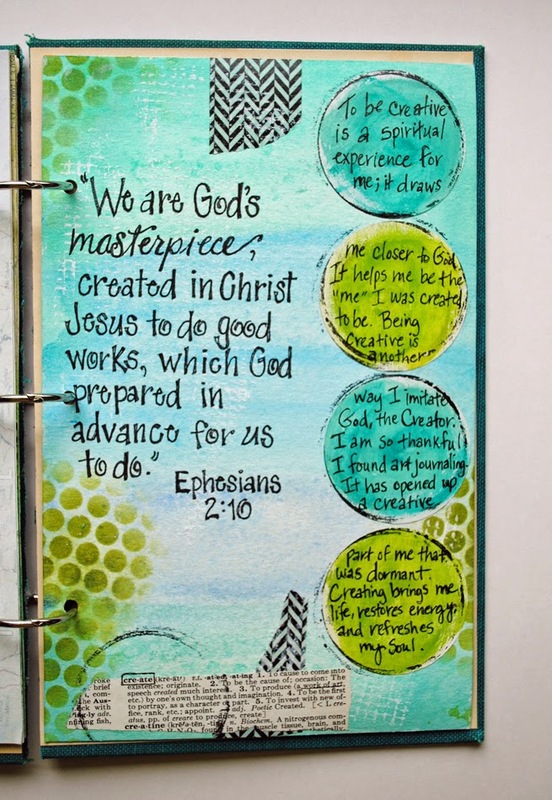 Bernice provided us with the verse from Ephesians to spark our creativity and then gave us some questions to journal about: What does creativity mean to me? What am I thankful for in the creative areas of my life? I journaled about these questions on my page. The one I didn't have enough room for was, How do you express your creativity? I express my creativity through photography, decorating, art journaling, mixed media art, making journals, doing anything that involves color, and even through Bible study. Creating is a spiritual practice for me and one of the ways that helps me stay connected to God. 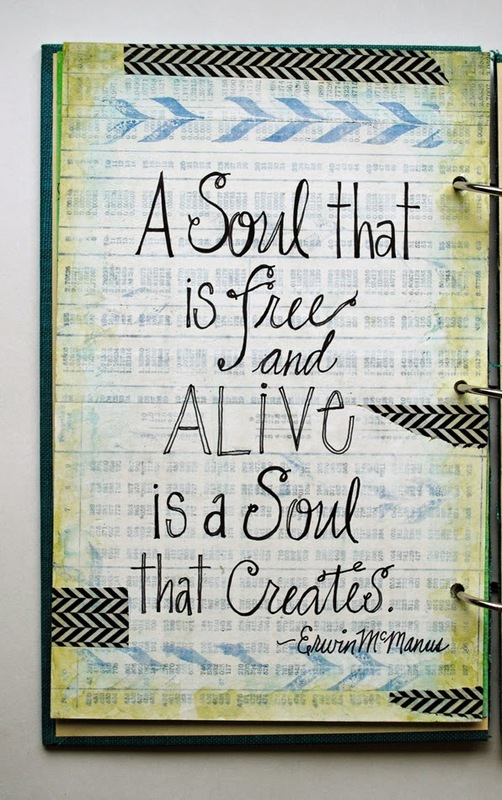 I found this quote online from a book called The Artisan Soul by Erwin McManus. I have read his work before and was inspired by it, so I ordered the book and it should arrive today. Looking forward to being inspired in my faith and my art! You can visit Bernice's challenge blog by clicking the link to the right. You have such beautiful writing! I used the salt technique for my first tag (I'm doing a tag book). I'll be posting mine tonight. Looking forward to seeing your tag! Thanks for visiting my blog! Thanks Bernice! Looking forward to all of your challenges! 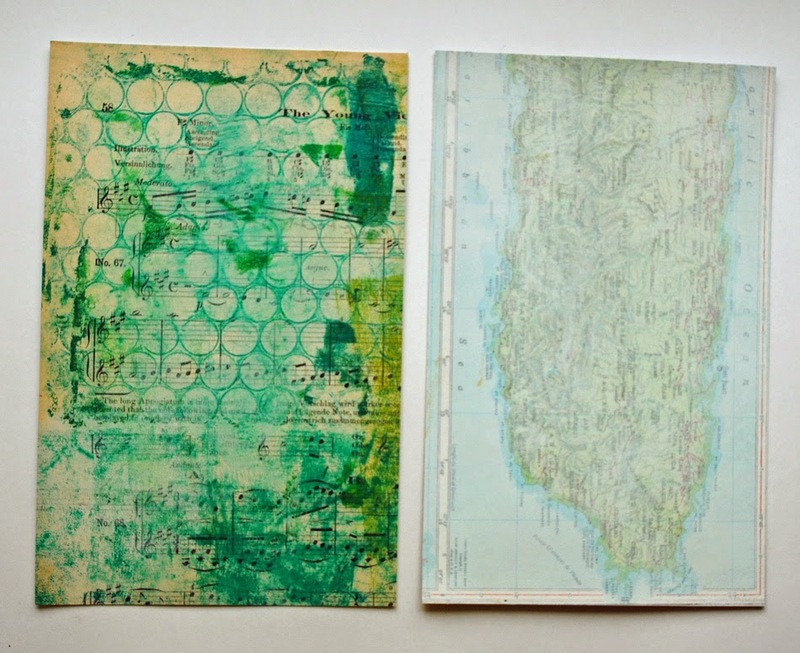 Beautiful backgrounds and journal pages! Love that quote! As always, amazingly beautiful art! Thanks for sharing with and inspiring us, Mary. It looks like you're stretching beyond your usual style into new things! I especially love the music with the green circles all over it. 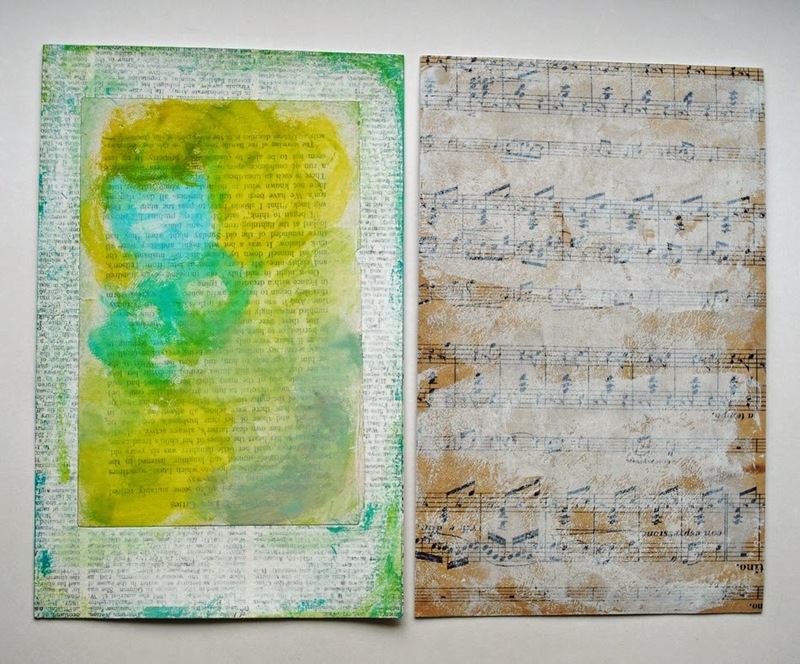 I'm finding that I love art journaling too. I've never done it before the DLP group. Thanks Karen. I hope you enjoy art journaling! Love your work as always! I ordered The Artisan Soul too! Only on the first chapter so far...it's great! You can also go to his church's website and listen to his sermon series on Thr Artisan Soul. Very inspiring! So true - thank you Cath! Thanks Robin! First I took a lettering class with Hope Wallace Karney at besottment.com, then with practice and time my own style developed. Hope that helps, Robin. Good to read about how it is to work with once finished, very useful. Congrats on being featured on Julie's blog today! 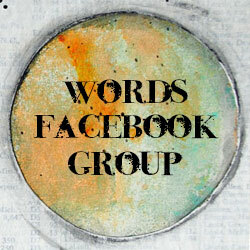 LOVE your art journal page featured there - I'm going now to look at your painted circles tutorial! Thanks Michelle! Enjoy the tutorial!